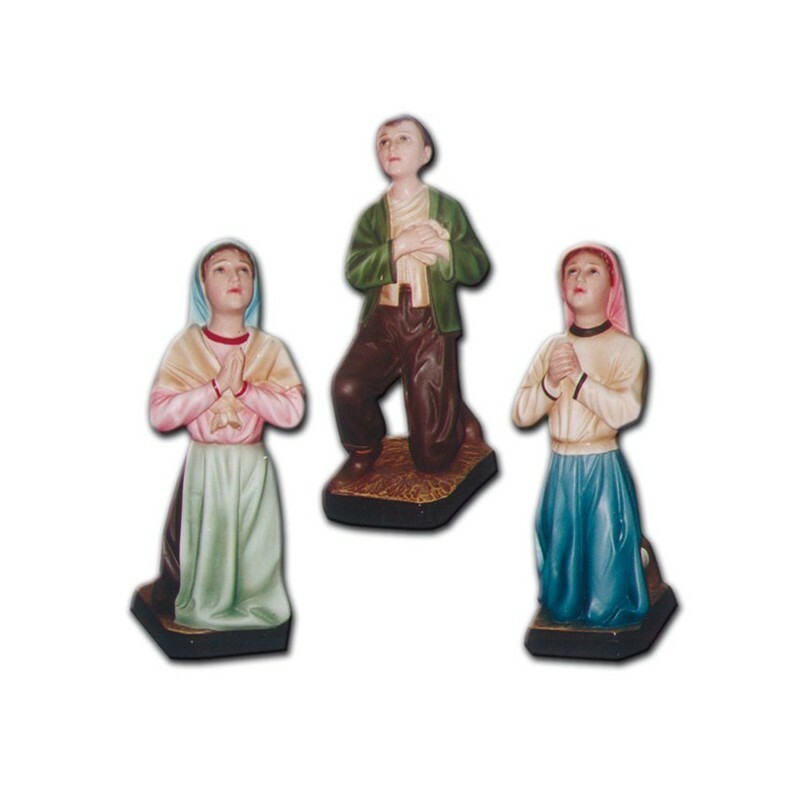 Three Shepherds for the Virgin of Fatima, 42 cm. On the 13th of May 1917 the brothers Francisco and Mary with their cousin Lucy dos Santos saw the Virgin of Fatima, while they were grazing their sheeps. The said that they saw a cloud which lowered on their heads. When the clouds cleared, they saw a woman with white clothes and a rosary in her hands. They thought she was the Virgin Queen. Ever since, she appeared them five times again and she made them many revelations about future events. The 2 brothers died in 1919 and in 1920, during the Spanish pandemic. Lucy took the vows and she entered the Order of the Discalced Carmelites and she wrote in her memories the events which were predicted by the Virgin. So she created “The Mistery of the Virgin of Fatima”.